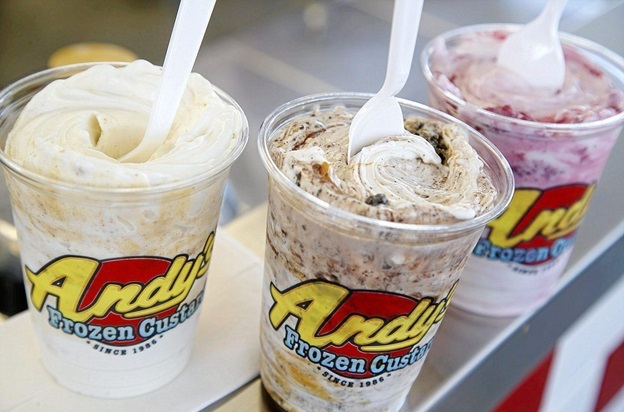 Locals and visitors alike who are spending a wonderful stay this summer season in Branson should know where to find cold treats to beat the summer heat. Summer tends to be very hot in some parts of the Ozarks and Branson may get toasty, but there’s nothing to worry about. Branson has plenty of places that serve some cool treats that are sure to help you get through the hot summer sun. As Branson is widely known for its great food – cold treats is always on the list in many fine restaurants. To enjoy cold treats this summer, look for some of the best dining venues that serve delicious cold treats in town. If you are looking for a nice restaurant that serves yummy ice cream and other innovative frozen delights, you are sure to find that perfect treat for your summer getaway in Branson. Frozen treats, snacks, and desserts can be found in every corner in Branson where you don’t have to look far to enjoy a delicious cold treat during summer. It’s real easy to find delicious foods in many restaurants in Branson that specialize in snacks, desserts, and great taste of frozen treats. Dining in Branson can be enjoyed best if you dine at some of the finest restaurants that serve yummy frozen delights which can help you cool down after spending a whole day of fun activities at some of the popular attractions and entertainment venues you have visited. While you are in Branson, you can always find a nice restaurant that offers delectable frozen delights, desserts, sandwiches, and burgers. Below you will find many dining places in Branson that offer cold treats that can help you beat the summer heat. Smack’s Deli & Ice Cream is a nice dining place beautifully located on the West Main Street in Branson that offers deli sandwiches with homemade fresh bread baked daily. Don’t miss to try the Root Beer Float, one of their old fashioned soda drinks. Their tasty Blue Bell ice cream has 16 flavors and served on fresh baked waffle cones. Some of the specialties that you can enjoy at Smack’s include Smack Special, Super Smack, Reuben, Beef and Swiss, Turkey and Swiss, Chicken Salad, Ham and Swiss, and Polish Sausage or ¼ pound Nathan hotdog. The Super Smack is perfectly prepared with beef, ham, Swiss cheese, and bacon. The popular chicken salad is a favorite for locals and tourists alike. They also offer daily specials that include pickles, chips, and soft drinks. The Sweet Shoppe which is located at North State Hwy 265 is also a nice dining place in Branson that offers hand dipped ice cream, pastries delights, cookies, candies, and cold drinks from the classic soda fountain café. The special coffees, baked goodies, pastries, and candies ensure your sweet tooth a full satisfaction. The patio of the Sweet Shoppe overlooking the pool is a nice spot to enjoy your cold treat and also lets you enjoy a spectacular view of the lake. If you haven’t enjoyed yet a fine dining in Branson in a floating restaurant that serves a delightful taste of frozen euphoria, try Ben & Jerry’s Scoop Shop located at 7 N Boardwalk in Branson. Try also their mouth-watering and self-indulging ice cream that is sure to satisfy your taste buds. In this floating restaurant, you can find some of your favorites like the fabulous ice cream cakes, sundaes, toute-frozen coolers and fresh fruit smoothies. Baskin Robins is another beautiful restaurant in Branson that have delighted customers with their irresistible frozen treats. They are the world’s largest chain of ice cream shops with over 6,000 locations in 35 countries. Also located on The Strip, Cakes n Creams have the biggest ice cream selection in Branson. Here you’ll get to enjoy delicious flavors like classic vanilla, chocolate and strawberry, Cotton Candy, Cheesecake, Amazon Storm, Chocolate Rainforest, and more. If you really want sweet ice cream treat, try The Famous Cakes n Creams Supreme, a funnel cake topped with your choice of ice cream, powdered sugar, whipped cream, and a cherry. If you are looking for the best ice cream that comes with a show, visit Coldstone Creamery, beautifully located also on The Strip. You can order custom ice cream creation which is made on a frozen granite stone and is served by singing waiters and waitresses who can juggle ice cream. Coldstone Creamery call this dining experience ‘the 10 minute vacation’ for their customers. The fresh ice cream at Coldstone can be customized to suit your taste, or you can order one of their Signature creations such as Oreo Overload, Birthday Cake Remix or The Pie Who Loved Me. With over 50 shaved ice flavors and custom flavor blends, Woody’s Island offers shaved ice as your sweet treat. At Woody’s Island, you’ll get to enjoy the best hot dog in Branson. You can make it a value meal with a drink and chips. You can also have a Nacho time and they’ll have you covered with the best Nachos in town. You can also expect from Woody’s Island the authentic Hawaiian Shaved Ice. Just like they do in Hawaii, they off the scoop of ice cream in the bottom of the cup for the ultimate Shaved Ice experience. Woody’s Island is a family owned business located at 4677 Fall Creek road down on the yellow route in Branson MO. They only use the freshest ingredients to go into their Shave Ice syrups, real cane sugar, natural flavors and no high fructose corn syrup. Shave Ice can be enjoyed in almost every country and region in the world. In the American South, it’s called snowballs or Shaved Ice. In Korea it’s called Patbingsu, in Japan Kaki gori, Cendol in Thailand and Indonesia, and halo-halo in the Philippines. Some have ice cream on top with fresh fruit beans, and evaporated milk. Now you can enjoy authentic Hawaiian Shaved Ice right here in Branson. Located at W 76 Country Blvd. 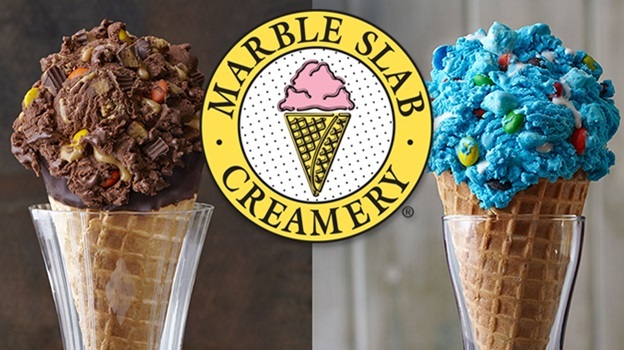 in Branson, Marble Slab Creamery has a new line of hand-scooped swirled shakes and offers cold treats for $1 off during “Slab Happy Hour” from 12 to 2 pm. The new featured Swirl Shake flavors are Cookies ‘N Cream, Coffee, Cotton Candy, Snickers and Strawberry. Customers can have the chance to create a unique shake with any ice cream flavor of their choice. Shakes are available in 12 and 20 ounce sizes. Marble Slab Creamery wants their guests to enjoy more than just a sweet treat. They want to provide their guests with a unique and memorable ice cream experience. Dining in Branson during summer season offers a unique fun of indulging with yummy frozen treats as it help ease the heat after enjoying long hours of fun activities.